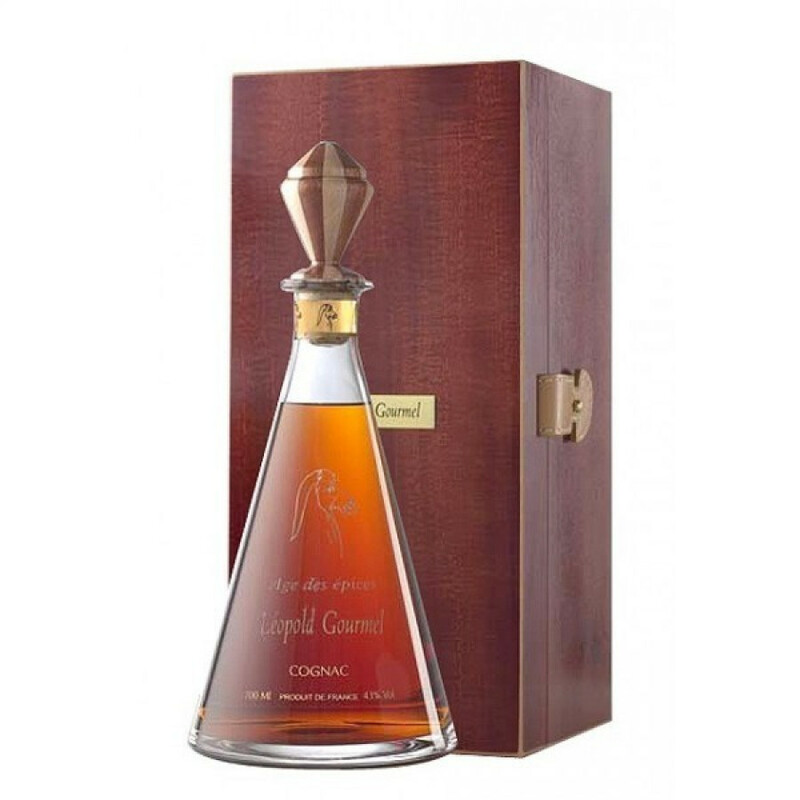 The Gourmel Ages des Epices Cognac is a delight - both in taste and presentation. It comes in a unique decanter with a wonderful wooden stopper, and is housed in a beautiful wooden presentation case. Old gold in color, Leopold Gourmel state that on the nose it's "round, with a sweetness from the wood, honey, and old leather". On the palate it's rich and powerful, with a slow, spicy beginning, followed by hints of pepper and coriander. To finish the taste is of cloves, ginger, and butterscotch. Aged for between 20-25 years, this cognac reflects all the wonderful complexity of the wooden barrels in which it's aged. Created with strictly no additives, and never chill-filltered. The cognac house says it's a wonderful winter cognac and delightful with pure black chocolate.